The main percentage animation in the first view of the page show the rate of progress in a tender and smooth way. 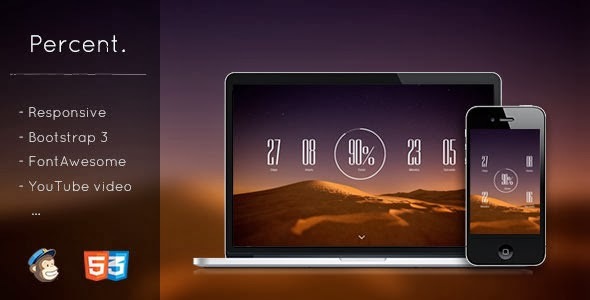 Item Reviewed: Percent - Responsive Coming Soon Template 9 out of 10 based on 10 ratings. 9 user reviews.